At the University of Rochester (UR), the David T. Kearns Center for Leadership and Diversity in Arts, Sciences and Engineering is home to university's Upward Bound (UB) programs (and other educational opportunity programs), whose vision is transforming lives through educational opportunity. The Kearns Center is led by the PI of the current proposal, Beth Olivares. In 2013, the Kearns Center began to formally connect UR’s STEM faculty with UB. Prior to 2013, no UB summer courses in STEM were taught by UR faculty, and the program had only three disconnected science offerings. Three years later, over a dozen STEM courses that range from several days to several weeks, are offered each summer, 85% of which are faculty-led and graduate student supported. 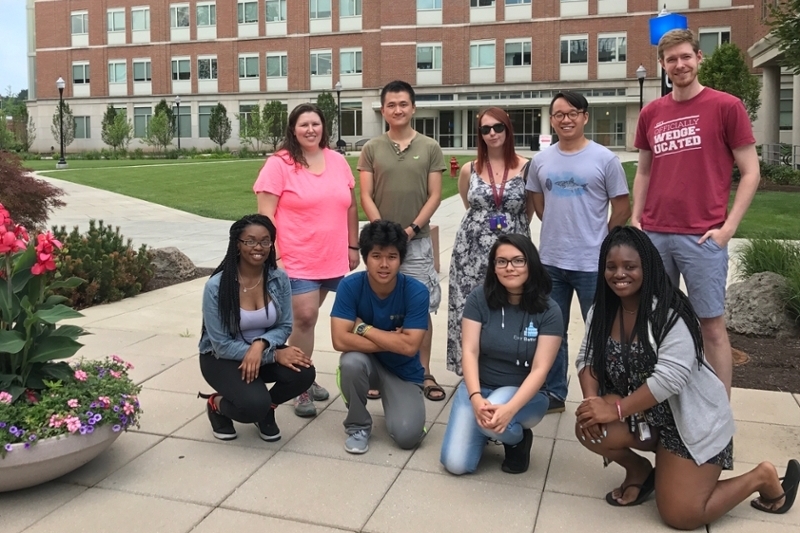 UB students have access to research internships in labs that utilize vertical mentoring, and STEM faculty provide an array of activities throughout the academic year for underrepresented students and their mentors. This approach, called the Leveraging and Integrating New Knowledge in STEM (LINKS) Framework, deeply integrates faculty and graduate students into the UB programs, and has had a profoundly positive impact on the high school students, as well as on the professional development of graduate student and faculty participants, all while meeting both the U.S. Department of Education and NSF goals. The Upstate NY Alliance will implement or expand the LINKS Framework at four institutions with existing UB projects: Cornell University, D'Youville College, Monroe Community College and the University of Rochester. By connecting to services already provided at each institution, the Alliance will strengthen the LINKS Framework and provide a proof of concept model for national scale-up in different institutional types, with measurable outcomes and with varying populations of at-risk high school students. Create a diverse, collegial community dedicated to bridging gaps between secondary and higher education learning environments and improving educational opportunities for at-risk students. Provide current and future faculty at each partner institution with best practices in teaching and mentoring diverse students, focusing on creating inclusive teaching and research environments while recognizing and drawing upon student diversity to enhance and enrich the learning of all (the CIRTL Network calls this "learning through diversity"). Further develop and disseminate successful practices at Cornell and Rochester for the development of strong faculty broadening participation plans at all partner institutions, therefore leveraging existing federal resources and informing best practices across institutions. Strengthen and provide proof of concept for expansion of the LINKS Framework, leading to national implementation, to maximize the impact of federal expenditures that will increase the participation in STEM of low-income and underrepresented minority students.